Soap Sale - Variety Grab Bag - Mystery Box of Glycerin Soap and Soap Samples - Destash Clearance. This is a surprise box of various soaps that will include 4 full bars and a variety of samples (6-7). Total weight is 2 pounds of soap. 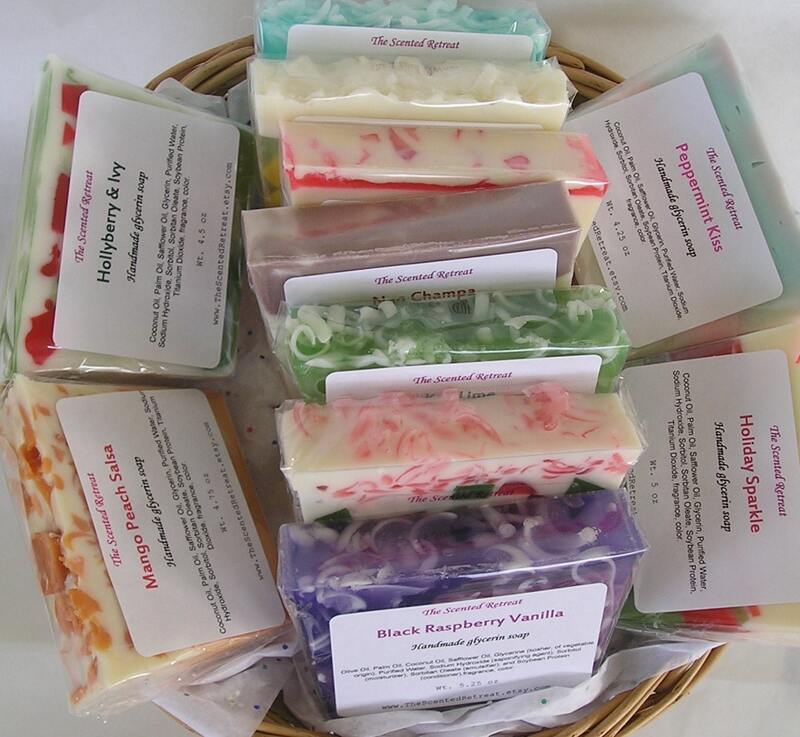 I love Kathy’s soaps! They’re beautiful and smell so good!!!! I just received this grab bag, but I previously had ordered a similar listing from The Scented Retreat and really enjoyed trying the different scents in that grab bag! I’m looking forward to the ones in this order. :) Thank you, Kathy! Super fast shipping. My mom loved her birthday gift! 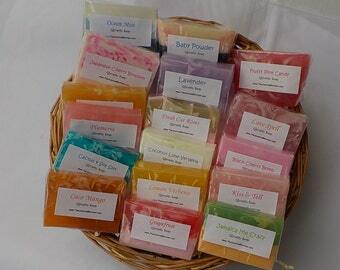 Excellent group of soaps that are great for travel, small gifts, and home use! Thank you for your prompt shipping ... and for making a superior-quality product!